White Paper Published By: GrapeCity, Inc. 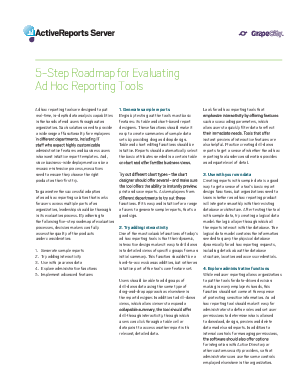 Ad hoc reporting tools are designed to put real-time, in-depth data analysis capabilities in the hands of end users throughout an organization. Since business-wide deployment can be a resource-intensive process, executives need to ensure they choose the right product on their first try. Read the white paper to find out what they are and get more insight into each step.